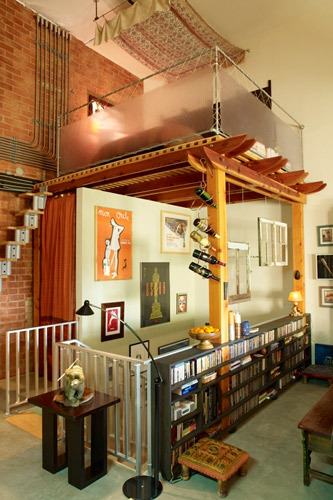 In an effort to maximize space in the house, a lot of city dwellers had been thinking of creating more rooms out of a limited space by innovating ideas such as the one shown on the above photo. Out of a small space, a hide away has been built. A raised bed platform was placed on a higher level by taking advantage of a high ceiling. This can create a private resting place for the house owner while other people in the house are doing their usual routine at home. Surprisingly, if you look at the materials used on the design, you will find that it won't really cost you that much.